But before I doze off, just wanted to share the nails of the week with you. 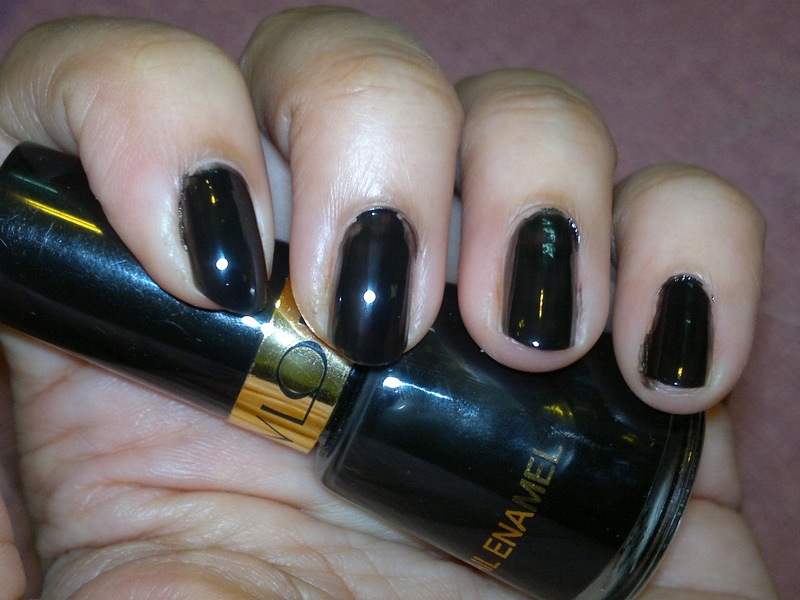 Today, I am experimenting with Go?h nails with Revlon Black Beauty. 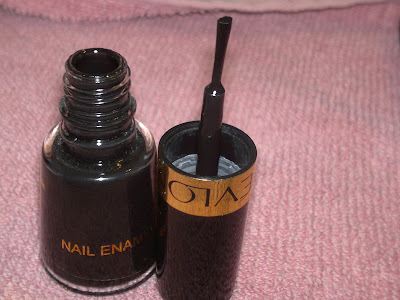 Price: INR 130 for 8 ml of product, packaging is quiet nice with a tapered bottle housing the nail paint and a cap holding the brush. Many people don't approve of black nails, but I for one am a total devotee. They make your hands look fairer and impart a classy but semi-formal look to your persona. 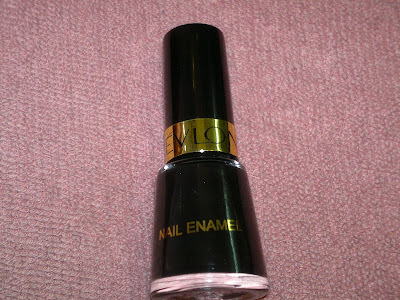 Coming to the nail paint itself, first coat is quiet sheer and what you see above is two coats of nail paint. Two coats make the nail paint opaque and glossy black, which I quiet like. Overall, quiet nice nail paint with a good lasting power (lasts for 4 days without chipping), available in plethora of shades, nice brush (doesn't streak), and quick drying (took flat 5 mins to dry). Product rating: A, available at all Revlon counters and online beauty shopping websites. Would definitely recommend it to all girls looking for quality nail paints.